Call us at (810) 735-9750 today. For more information or to schedule an appointment with our Linden chiropractor, call (810) 735-9750 today! I know that it can be a difficult decision finding the right fit for your needs. Here is some information about my office so you can decide if it's the right place for you and your family. Our goal is to create a serene relax environment, no white coats here. In fact it is quite casual! So everyone from babies to grandparent feel at home and comfortable! 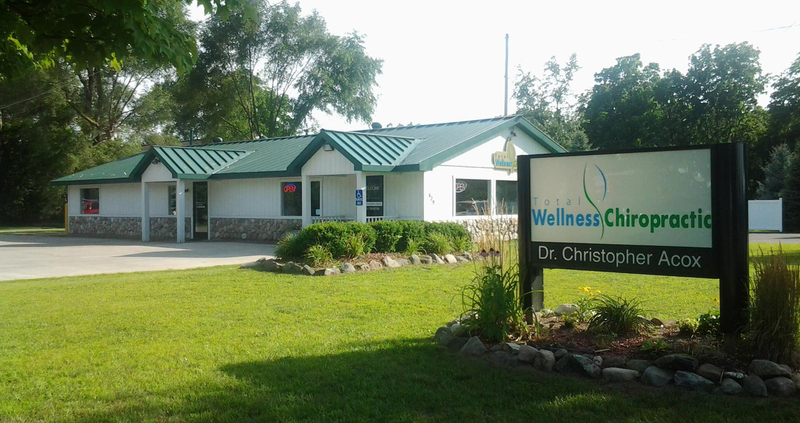 I graduated from Palmer College of Chiropractic and returned Home to Linden, MI and have been helping people achieve a better quality of life since 2004. But chiropractic care isn’t ONLY about the spine. It’s also about how the spine relates to the nervous system and how that relationship effects your overall health. That is why so many people who go to the chiropractor will report health benefits that they didn’t expect. Breathing better, sleeping better, more energy, performing better at sports, needing fewer medications, getting sick less often are commonly reported amongst my patients. Our patients have found relief from a wide variety of symptoms and conditions including neck pain, back pain, sciatica, arthritis, fibromyalgia, headaches, migraines, whiplash, work and sports related injuries. For your convenience, we have provided more information about the most common conditions for which people seek care in our office. It is not by any means an all inclusive list, so if you have questions about a condition or symptom that is not listed, please contact us through our contact page. "My 16 yo daughter is a gymnast and was experiencing severe back pain right before a big competition. Dr. Acox fit her into his schedule and helped get her to a point within a week where she was not only able to compete but took home gold medals! We are so thankful for his help and will continue to maintain so she doesn't get to that painful point again." "I had my doubts about chiropractic adjustments, but I was having problems with seasonal bronchitis and I read that neck alignment can be a cause of some bronchial issues. With Dr. Acox's professional advice and knowledge, he erased every doubt I had about chiropractic services. I have been bronchitis free from my first appointment until now, seven years later. If you are looking for a very knowledgeable staff that takes care of their customers, look no further than Total Wellness Chiropractic."